June 17, 2016 By Allyson 3 Comments This post may contain affiliate links. Read my disclosure policy. 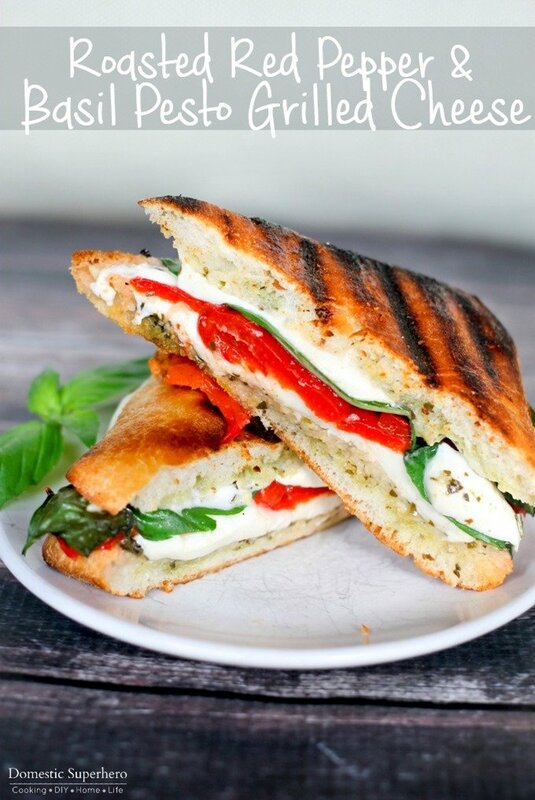 Roasted Red Pepper Grilled Cheese is filled with basil pesto fresh mozzarella, and roasted red peppers. 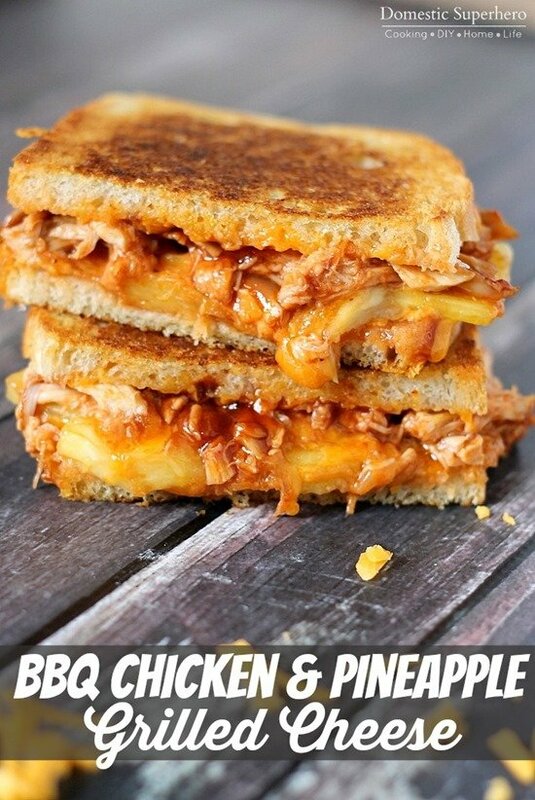 It is the perfect summer sandwich! Ahhhh, nothing says summer like grilling, right?!?! I love love love grilling out, but being vegetarians it makes things a little difficult sometimes. Truth be told, I will take a hamburger bun and just stuff it with the burger toppings (sans burger) when we co to a cookout, because it’s honestly SO delicious! I have been playing with grilling actual sandwiches lately, and I am super excited to share with you my newest sandwich, this Roasted Red Pepper Grilled Cheese. 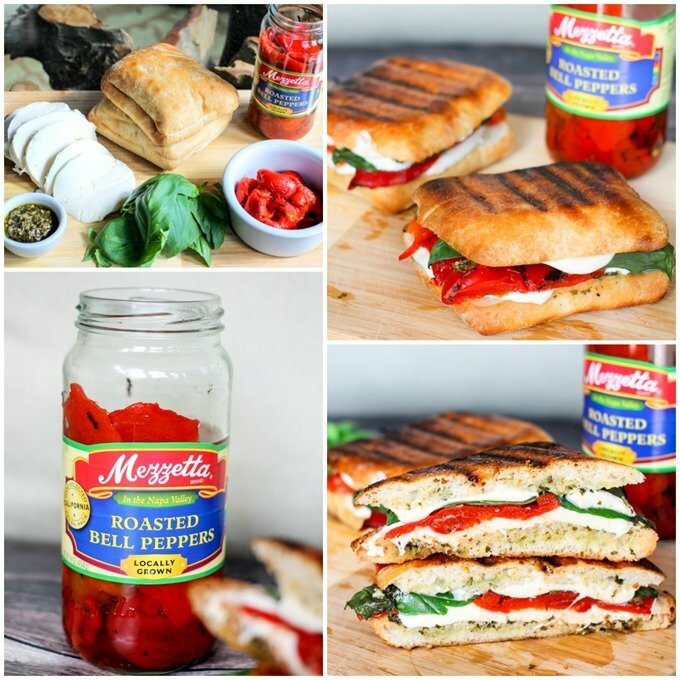 You know, I absolutely love Caprese sandwiches, but since I’ve already made a caprese grilled cheese, I wanted to do a play on that, but use Roasted Red Bell Peppers. 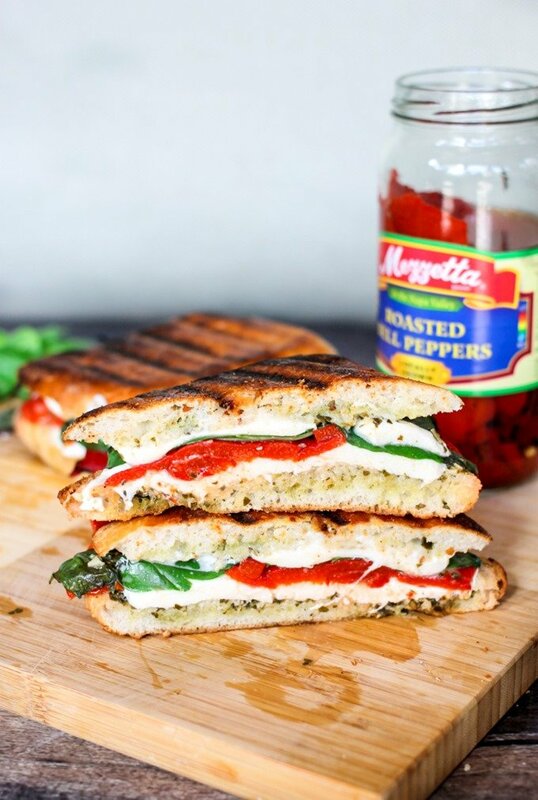 The flavor from the peppers gives a real punch to the sandwich, and adding pesto plus fresh basil leaves is just an amazing burst of fresh flavor. I love this Roasted Red Pepper Gilled Cheese sandwich. I don’t think I mentioned, you actually put these bad boys on a real grill. 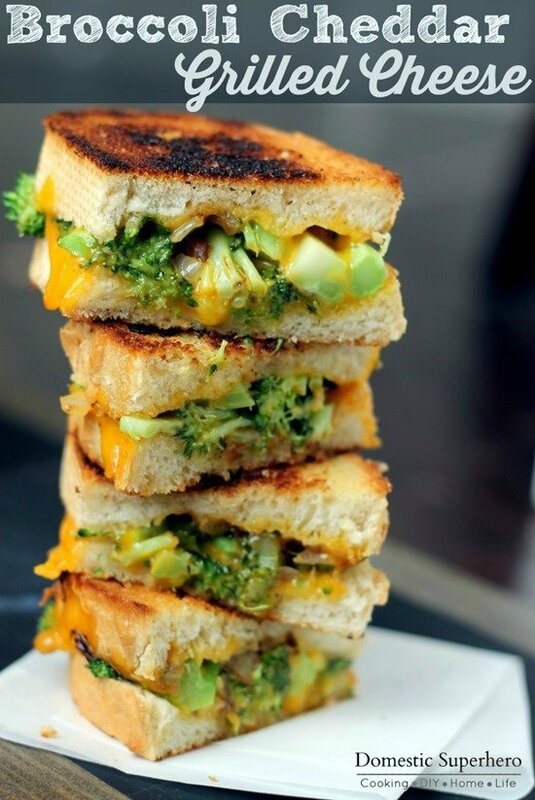 Have you ever grilled a sandwich on an actual grill?!?! It’s so delicious and easy! 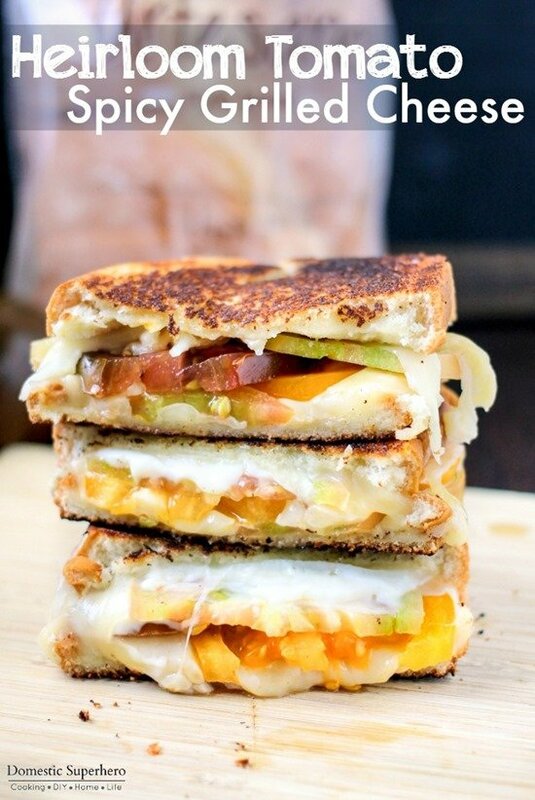 It gives the bread such a delicious crunch and melts the cheese perfectly. 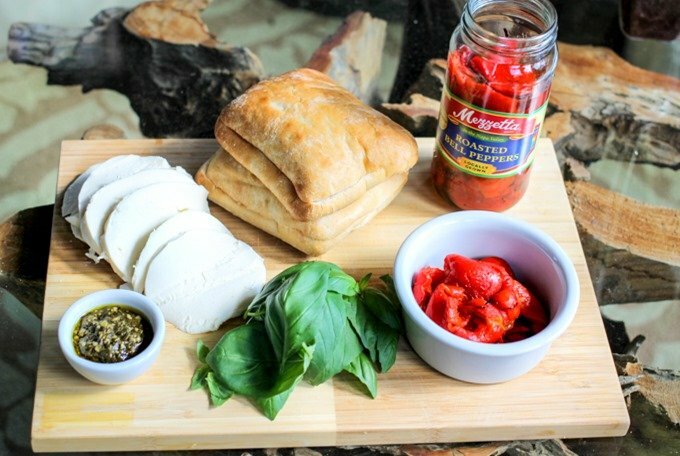 I love using the fresh mozzarella in this recipe too, but say you have everything on hand except the fresh mozzarella, then just use whatever sliced cheese you have – anything works! 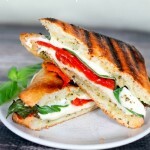 To assemble sandwiches: open each roll, spread some basil pesto and mayo on each side of the bun (insides), add a cheese slice, half the roasted red peppers, half the basil leaves, another cheese slice (or 2), sprinkle salt and pepper, and close the top basil/mayo side down. Repeat for second sandwich. Brush olive oil on the outsides of the rolls. Place sandwich onto the grill, and close the lid. Cook for 2-4 minutes with the heat on medium - you don't want the sandwich to burn. Flip sandwich over, and cook another 2 minutes or so. Remove from grill. Allow to cool a few minutes, then slice in half and enjoy! Allyson these seriously look AMAZING!! 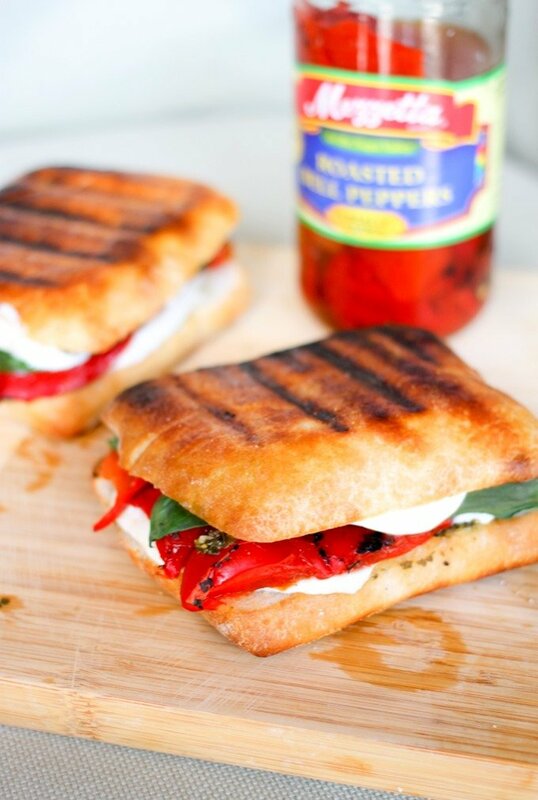 I love paninis, but have never made them on the grill. I will have to try this; I love the flavors you used! It is SO good on the grill! You will love it! So easy, too!